You may have noticed that casino bonuses are not as amazing as they initially sound. ‘Have $5,000 FREE!’ or ‘We’ll double your deposit!’ are a couple of examples you may be offered when signing up to an online casino. However, nearly all online casino bonuses come with wagering requirements. This means you have to bet a certain amount before you are able to withdraw. This being said, you can make a lot of money from casino bonuses. You just have to be smart about clearing them. The main strategy to clearing casino bonuses is not to try and make a profit, but to minimize your losses until the bonus has been cleared. In this article we will discuss how to clear casino bonuses as well as the best way to clear them and what games to play to clear your bonus faster and safer. Wagering requirements are requirements set by the casino that you must follow in order to withdraw your bonus and any winnings made from it. Most casino bonuses have wagering requirements ranging from 20 x the bonus amount up to 50 x the bonus amount. You deposit $500 and receive another $500 free as a bonus and has a wagering requirement of 20 x the bonus amount. To be able to withdraw your bonus and any winnings you must wager at least 20 x $500 ($10,000). This means you must place $10,000 worth of bets before withdrawing is possible. 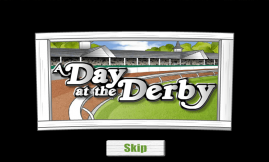 Wagering requirements vary greatly between casinos and also between different bonuses. This means that two bonuses from the same online casino may have different wagering requirements so it is always wise to check the T&C’s before accepting the bonus. If you can’t find the T&C’s for a bonus then simply ask support via live chat, email or phone and they should be able to send you a link right away. 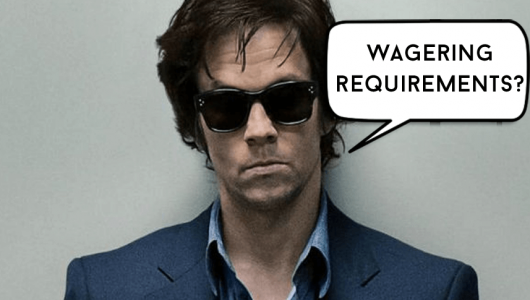 Can I play any casino game to count towards my wagering requirements? Usually yes. The majority of the time all casino games offered by the casino will count towards your wagering requirements. However, all casino games may not count towards your wagering requirements for your bonus equally. For example, playing roulette may only count towards 50% of the wagering requirements where as playing blackjack my count 100%. Again, it is worth checking the terms and conditions of each bonus to see if any games are excluded from wagering the bonus and if all games count equally towards the wagering. What games are best to play to clear a casino bonus? Some games are better to play than others when the aim is simply to clear the bonus at an online casino. As mentioned above, your aim when clearing a casino bonus is to minimize losses, not to maximize profits. That way, when you do clear your bonus you’ll be left with potentially thousands of dollars more than when you started, without risking your own money. As our aim is to minimize losses we will be wanting to play a casino game that is low risk. Blackjack has one of the lowest house edges out of all casino games. Sometimes as low as 0.3%! Most people also know how to play blackjack, making it a favorite game choice for ‘bonus baggers’. We want to play smart and so do not take risks when playing blackjack with your bonus. If you do not know the odds of winning each hand then use our blackjack table to know when to hit, stand and double up. This is mathematically proven to give you the best odds at winning at blackjack. 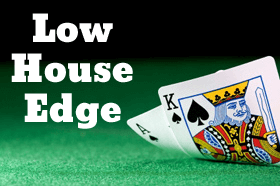 If you don’t want to spend your time clearing your bonus playing blackjack then other smart choices with low house edges are Jacks or Better, which has a house edge of around 0.4%, Baccarat, with a house edge of just over 1% and Craps at just over 1.4%. Bad choice to clear your casino bonus would be casino games with a higher house edge such as Slots or American Roulette. What size stake should I bet? Although it may be tempting to make a large bets and clear your bonus faster, it is mathematically wise to make lots of smaller bets. If you make many smaller bets then the law of averages states that you will see a better return. Play 10 hands of blackjack and you may win 8 hands and lose 2 hands. However, play 10,000 hands of blackjack and the result will be much close to 5,000 won, 5,000 lost. This is the ‘law of averages’. The more you do something that has set odds, the closer you will get to those odds. How much of the bonus can I expect to cash out? You should be able to work out how much of your bonus you will be able to withdraw once you have met the wagering requirements. This depends of what game you are playing and of course you can’t predict exactly how much you will win or lose. Sometimes you will go on a winning streak, sometimes a losing streak. However, it is worth doing the calculations before starting your bonus wagering just to see how close you get to it. You register at AllStarSlots.com which currently offer a 400% bonus on your first deposit up to $4,000. You deposit $100 and receive another $400 free. Their wagering requirements are 30 x your deposit + the bonus amount, so you need to wager 30 x $500 ($15,000). You decide to clear your bonus playing blackjack which has a house edge of 0.3%. To find out the amount you will lose while clearing your bonus due to the house edge, simply multiply your wagering requirement by the house edge percentage divided by 100. You could make full use of the bonus of course and deposit $1,000 to receive the maximum bonus of $4,000. This would give you an expected profit of $2,550. Not bad for a single bonus! Casino bonuses are great if you use them wisely. You may have to make a change from your usual betting patterns or casino games but it is worth while. Remember to play smart when clearing your casino bonus. Only play games with a low house edge and try to bet with lower stakes. Obviously, if you are depositing a large amount to receive a several thousand dollar bonus, you won’t want to spend days playing $1 blackjack hands but don’t wager large amounts at once. Be patient and you will be rewarded with some nice free cash once you meet the wagering requirements.